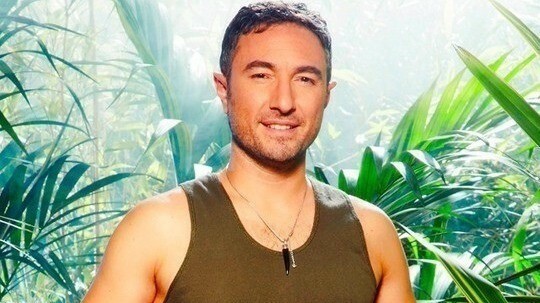 Vincent Simone is a contestant on ITV’s I’m A Celebrity.. Get Me Out Of Here 2013! Phobias: Everything. I am even scared of a ladybird. As one of Strictly Come Dancing’s former professional dancers, Vincent Simone is planning to turn the jungle into a ballroom and teach his fellow celebrity camp mates how to perform the sizzling Tango and Salsa. Smiling, the 34-year-old star says he hopes there will be a pretty female who he can show how to perform some dance moves to and inject some ‘passion’ around the campfire. With a glint in his eye, he declares: “I hope there is someone nice in there that I can teach some steps. Dancing is the best thing. It has been my life and I would like to try and teach the celebrities how to dance. I would like to inject some passion! “I love dancing so much but when I got asked to take part in this show, I really wanted to do it. But Vincent readily admits he isn’t going to find it easy. So scared is the dancer of every type of creature you can possibly come across that he even recently got frightened when a ladybird came flying towards him. He reveals: “I am scared of anything. I am realising this more and more. The other day I was on a phone at home and I opened the French doors to go outside. I saw this red thing flying towards me. I was kicking and punching it. It was a ladybird! I am so terrible; I can’t actually pick out specific creatures. spiders, tarantulas, I am scared of the whole thing. Vincent has recently become a dad for a second time and so you wonder why he is putting himself through such terror when he could be sitting at home, surrounded by his creature comforts. “My partner, Susan, is nervous,” he concedes. “She is my mentor and everything I do, I tell her. She helps me a lot but with this, she left the decision to me and told me she would support me either way. She knows how rubbish I am with things. “My mum is not happy either. I am still her little boy and she is not looking forward to me suffering. So excited is Vincent about taking part on I’m A Celebrity…Get Me Out of Here! that he even turned down the invite to take part in this year’s Strictly Christmas Day special. “You have to say no to people. Flavia, my professional dance partner, wasn’t too supportive at the beginning but she is now. She worries about me not eating but she needs me. She is nothing without me!,” he jokes. “Seriously though, it’s going to be nice for the public to see that I do have a soft side to me. Italians like to cuddle and I am used to showing my emotions with my dance. In public I do like to play the part of the charming Italian who is flirtatious. I keep saying I am the best but I do it in a jokey way. So when I go in the jungle, hopefully people will realise that I am emotional. Yet he is no pushover either and Vincent says he will be prepared to tell his fellow campers exactly what he thinks of them in no uncertain terms. So is his decision to go on I’m a Celebrity part of a change in career direction?